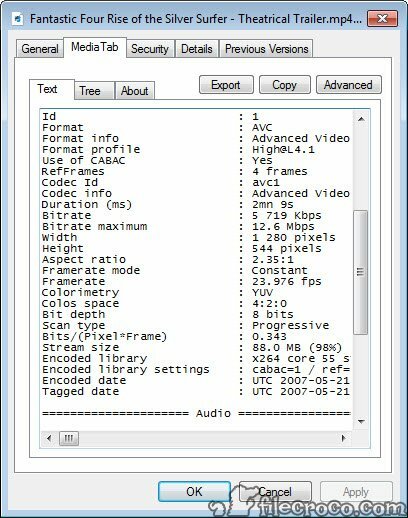 MediaTab is a free software that allows you to access technical information about your multimedia files by providing you codecs info and other useful parameters. 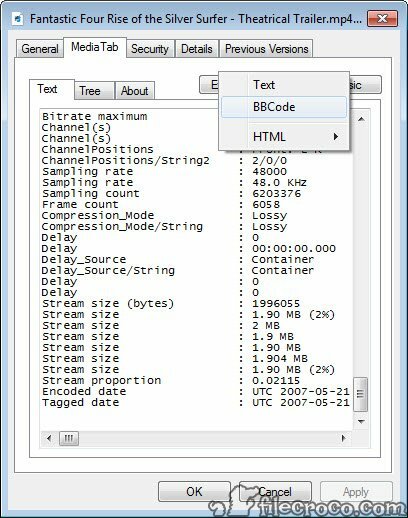 Easy to use, it becomes the most valuable friend whenever you have a problem in playing a file or when you need to check if a certain data has the specifications you want. It can also test the final quality of an encoded or converted file. In order to use this application, after you install it, right click on a specific media file, select Properties and next Media Tab. Thus you will find the specific resolutions, codecs, encoded options, in other words the same information Media Info can provide. You have the possibility to export that certain information to formats like text or HTML and then copy it to the clipboard. 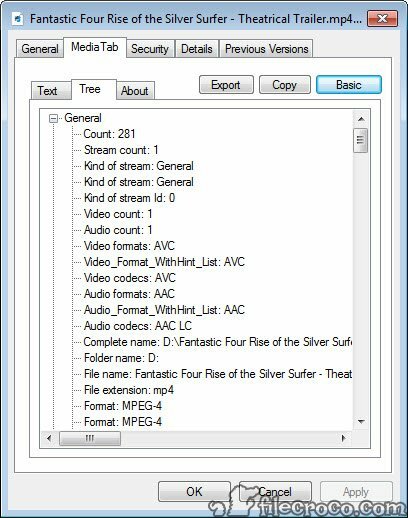 With a lot of extensions included, the application disposes multiple audio and video formats. Having a simple structure, it is a handy solution, helping you fix problems or comprehend more technical issues related to a multimedia file.